Let this be a lesson to anyone who organizes their travel searches by country. 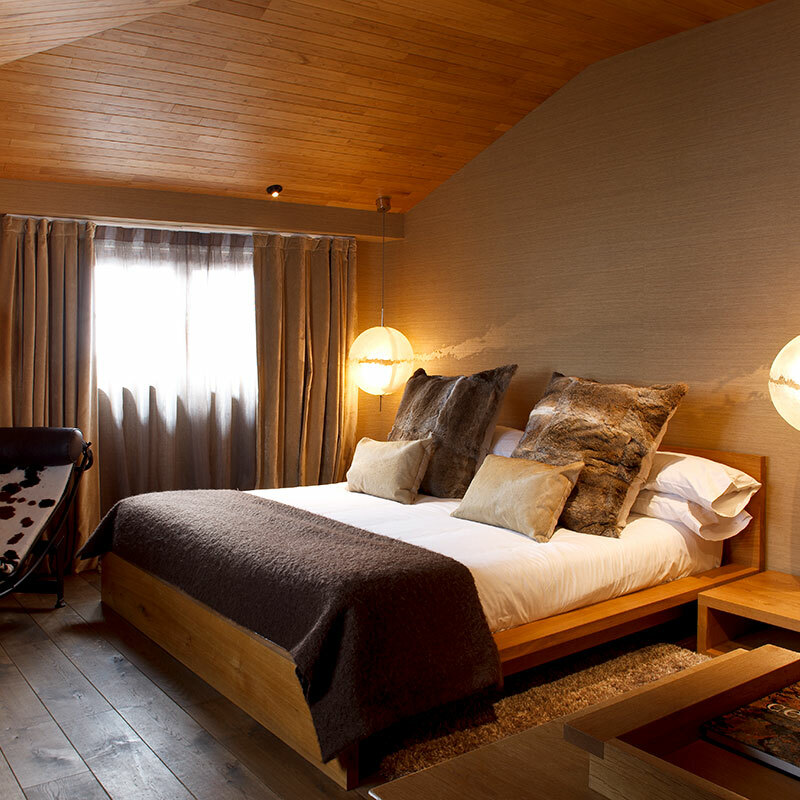 When you’re looking for a ski getaway, be sure and throw in a search for Andorra, or else risk missing out on at least one extraordinary small hotel. 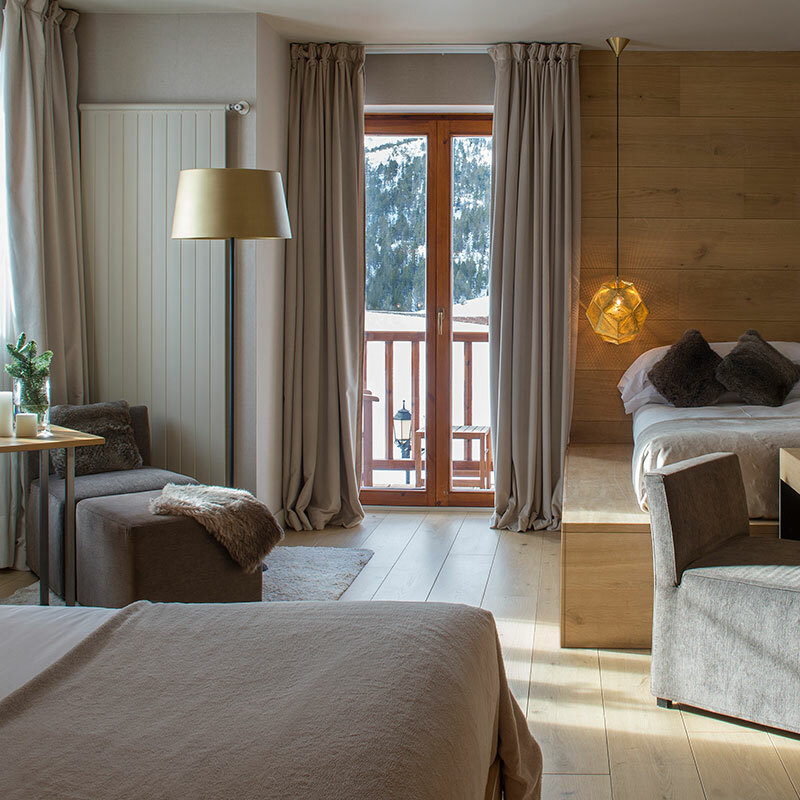 Hotel Grau Roig is located in the town of the same name, in the Andorran Pyrenées, and while its exterior looks cozy enough — to the untutored eye it’s something like a brown-brick Bavarian lodge — it’s what’s inside that counts. Namely, rooms and suites that wouldn’t look out of place in just about any urban European design hotel. 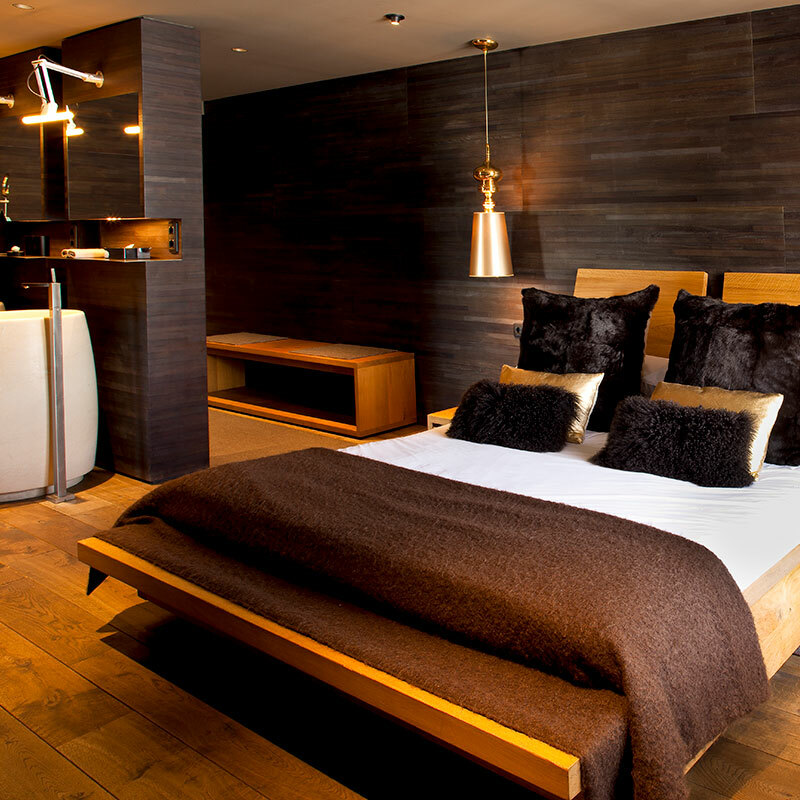 A far cry from the timber-and-antlers look of the typical ski lodge. 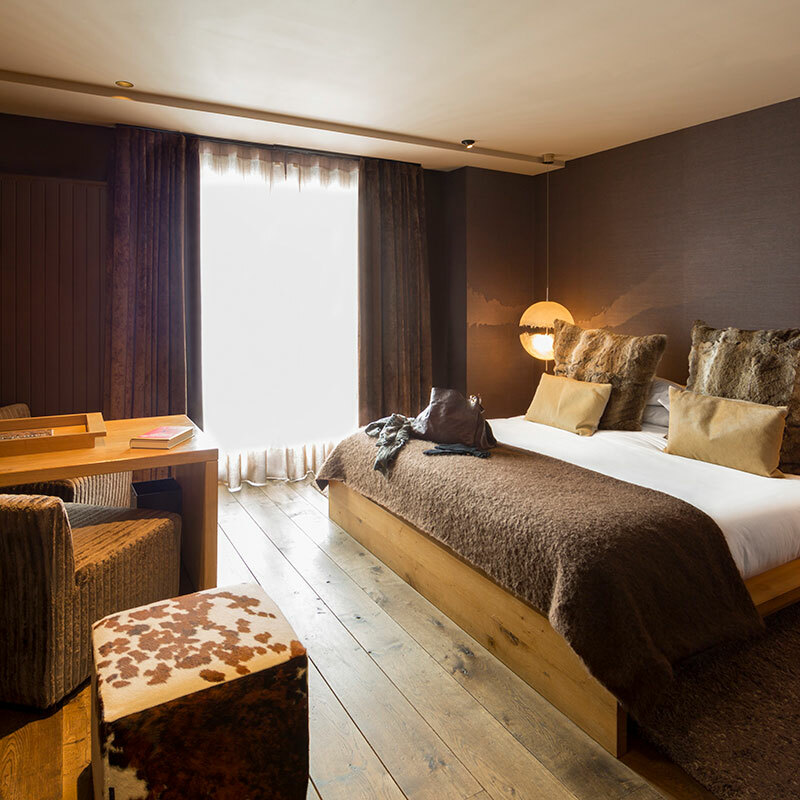 With the exception of the strangely old-fashioned standard rooms, the interiors at the Grau Roig are pared-down and contemporary, in palettes of dark brown, with floors (and sometimes paneling) in medium-toned wood. 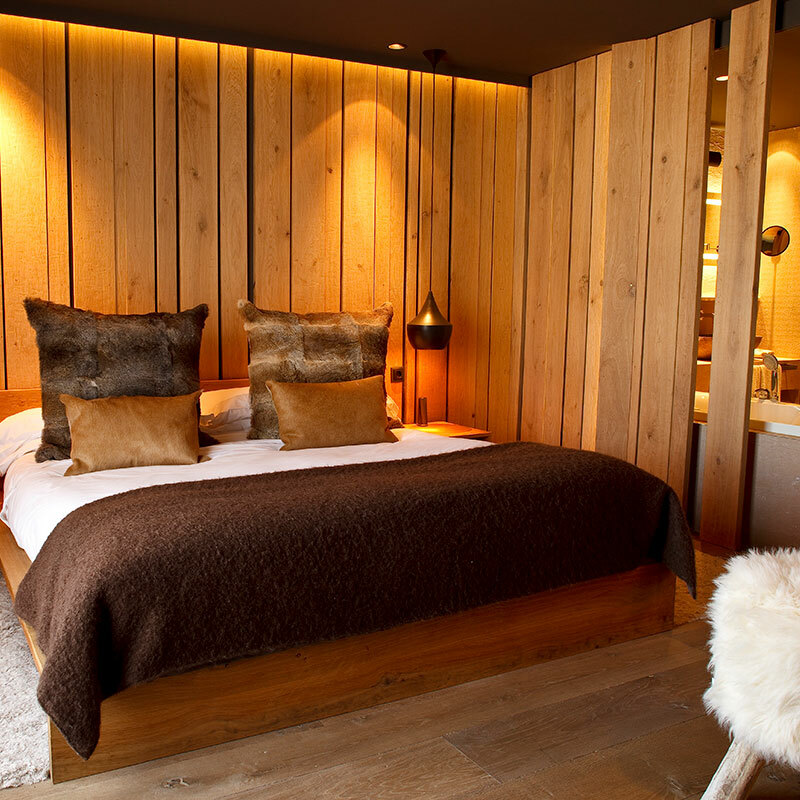 Fixtures are up-to-the-minute, with special attention paid to the bathrooms — essential in a ski hotel — and the look is slightly retro-flavored, though anything but dated. There’s a spa that’s perhaps better equipped than one expects from a hotel of this size, as well as copious meeting and events space. A pair of restaurants serve Andorran and Mediterranean cuisines, and the Theatre of Wine is something unique indeed: a restaurant of just ten covers serving “minimalist mountain cuisine” accompanied by an astonishing array of wines. In winter the appeal is obviously centered around the ski slopes, but the Pyrenées in summer aren’t exactly a letdown either — whatever the season, a taste for adventure will stand you in good stead here. Vues : vue partielle sur la montagne ou vue partielle sur la rue.